Who Wants a Quad-Core Computer for $130? When Raspberry Pi released their diminutive, ARM-based PC for $35, people were rightfully chomping at the bit to get their hands on something so cheap and small and hackable. But the 700 MHz, single-core ARM 11 processor it wasn't exactly a powerhouse. 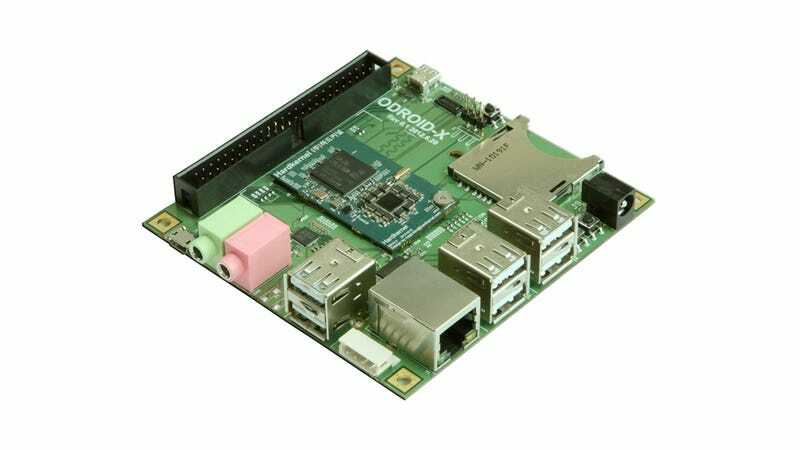 Enter Hardkernel's ODROID-X, which packs a quad-core Samsung Exynos chipset on a 3.5 inch motherboard.